And now there have been exciting developments in a car park in Leicester! If you watch the recent press conference the archaeologists look pretty excited about what they've found and despite the cautious words and warnings about scientific testing those guys are grinning like crazy and BUZZING!! We wouldn't have had the unlovely Tudors who ruthlessly and efficiently removed all opposition including Margaret the Duchess of Salisbury and niece of Richard who at the age of 72 was sent to a messy execution at the hands of an inexperienced and clumsy axe man. Perhaps England would have remained a Catholic country and preserved both it's religious houses and the treasures stored within them, treasures denied to us now having been destroyed by the greed of Henry VIII. Without a crown on his head he wouldn't have been in a position to make 6 women miserable and 2 of them headless. Shakespeare would not have written his history plays in quite the same way and we would have been spared hearing "Now is the winter of our discontent etc" delivered in bizarre tones by actors who should know better, dragging themselves across a stage like smacked spiders. Nor would there be a state in America named Virginia. Mary Queen of Scots may have managed to live out her inevitable exile without ending with her neck on a block, her son would not have inherited the crowns of Scotland and England and her grandson would not have had his head chopped off by Cromwell who would have been remembered for being a conscientious Huntingdon MP with no need to create a new model army to fight a king. With no restoration we may have lost some exuberant and bawdy plays but I like to think Nell Gwyn's charms would have worked on whichever King occupied the throne at that time! If the Stuarts had stayed north of the border, there may never had been an act of union between England and Scotland and our flag would look quite different. Perhaps the slaughter of Culloden and the systematic destruction of the Gaelic culture would never have happened. We would have avoided the Georgians although the first elector of Hanover would have still imprisoned his first wife for 30 years in Castle Ahlden, the third George would still have been known as a mad man instead of an ill man and his son would still have grown fat on food and poor on gambling. But he would have had no Parliament to pay his debts! Parliament may not have developed in the way it did had it not seen the chance to take greater control into it's hands under a new and reluctant German king. We would have been spared Victoria and her endless monuments but would have lost out on the enterprise and energy of Albert. Without Victoria's grandchildren in charge of Europe, would there have been a 1st World War? And if Alexei Nikolaevich had not inherited haemophilia from his gloomy granny could Rasputin have held such influence and would Russia have kept it's Tsar? Communism could have been a footnote in history and the nations would have had to find other reasons to argue with each other. Is it conceivable that a 2nd World War could have happened without the first? How exciting if the bones in a Leicestershire car park are finally proved to be those of the last Plantagenet king of England! And what a pointless but curious way to while away time playing the "what if" game of history. 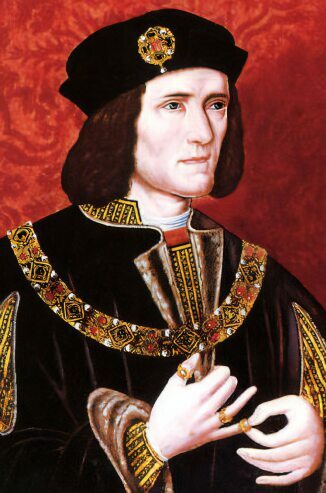 And...if it is Richard...can we have an extra bank holiday in 2013 for his state funeral please?! Lol! I like the idea of an extra bank holiday next year to celebrate finding him!